It may be a new year, but will we see the same old Roger Federer when he takes on German Tobias Kamke at the Brisbane International today? The defending champion, who celebrated career win No.1000 in the tournament last year, has been working with former world No.3 Ivan Ljubicic after the departure of Stefan Edberg. The Swede travelled with Federer for two years and was credited with bringing a more attacking edge to his game. Ljubicic is a close friend of world No.1 Novak Djokovic, and his switch to Federer's camp sparked speculation the Swiss ace wanted someone with good insights into the Serb's game to help bring that elusive 18th major. 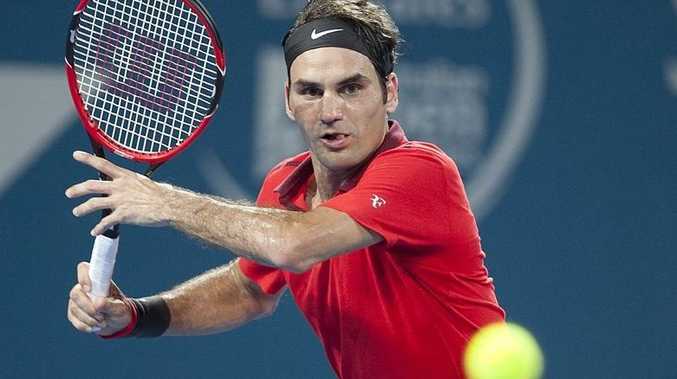 Federer is playing in Brisbane for the third time. He lost the 2014 final to Lleyton Hewitt before beating Canadian Milos Raonic last year, his 83rd career title. That was the launching pad for a season that saw the 34-year-old win five more tournaments and make the finals at Wimbledon and the US Open, beaten both times by Djokovic. Federer and Kamke have played just once, the former world No.1 prevailing in straight sets in the first round of the French Open in 2012. Meanwhile, Austrian Dominic Thiem, the eighth seed, booked his place in the quarter-finals with a 6-3 6-2 win over Denis Kudla. Germany's Angelique Kerber also progressed to the final eight after knocking out young American Madison Brengle 6-3 6-0, but Swiss rising star Belinda Bencic was surprisingly beaten 7-5 7-5 by American qualifier Samantha Crawford.